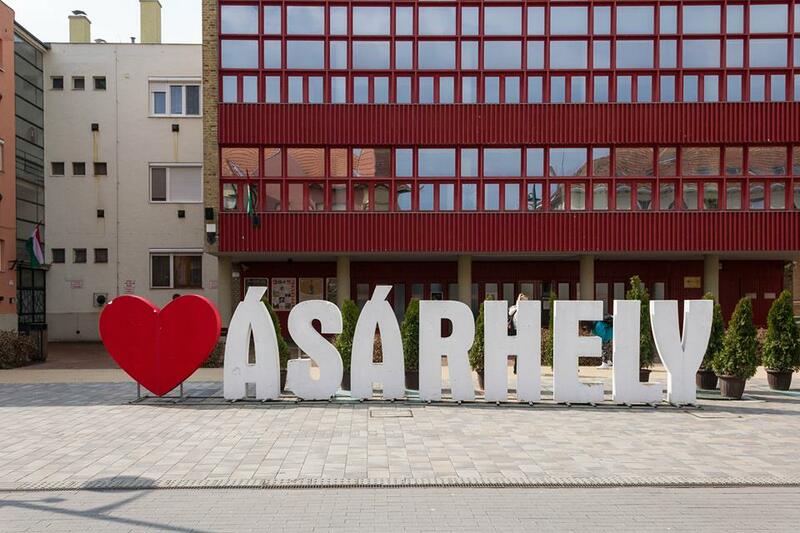 Three hours south-east of Hungary’s capital, the small town of Hódmeszóvásárhely, more simply referred to as Vásárhely, flies under the radar most of the time. More recently, however, this town has been widely talked about and recognized for its latest political drama, when an independent candidate beat the Fidesz party in a minor election this past February. What these results could mean in the larger context of the elections coming up on April 8th has many people talking. The town hosts about 50,000 inhabitants, one of them being Flora Batancs, aged 23. Batancs, who is a logistics officer for the Hungarian army, says that she doesn’t like to talk about politics, as the topic often leads people into a polarized argument. The debate over what type of governing system, one with left wing or right wing policies, is far from uncommon nearly anywhere you go, especially amongst politicians themselves. In Hungary, and in Vásárhely, this is not an exception. 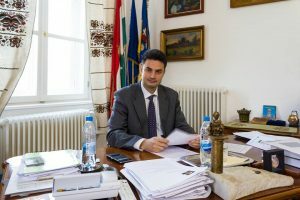 Yet, Péter Márki-Zay, newly appointed mayor of Hódmeszóvásárhely, managed to communicate and cooperate his way through the divisions between parties. This ultimately lead to a 57.5 percent victory over Fidesz candidate Zoltan Hegedus, who received 41.6 percent of the vote. According to Márki-Zay, cooperation is simply a technical matter once all members of the opposition can settle on a common goal. 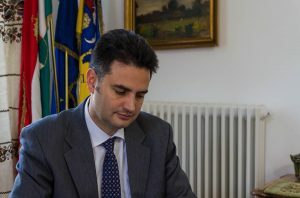 Péter Márki-Zay in his office in Hódmeszóvásárhely city hall. Zsófia Fülöp, a journalist for Magyar Narancs, said that the mood in Hungary concerning the elections was distinctly different before and after the events in Vásárhely. Since winning a two-thirds majority in the 2010 elections, the Fidesz party has changed the rules of the game in a way that tilts the cards in their favour in future elections. After Viktor Orbán, leader of Fidesz, won a second term in 2014 and the country’s corruption index and democratic standing worsened, so did the people’s faith in probability that they could elect a leader with integrity. But the Vásárhely election showed Hungarians that a shift in the winds is possible. The building to the photo’s left is Hódmeszóvásárhely’s city hall. A János Lázár campaign sign can be seen on the bottom left of the picture. Observers recognize that Fidesz will, in all probability, win this third consecutive election. A common sentiment felt amongst many Hungarian voters is that there aren’t any better alternatives, and because of the way non-Fidesz votes are split between the opposition parties, along with the ways in which the election is already slanted in Fidesz’s favour, coalitions are a good idea for those looking to surmount Orbán. Márki-Zay has been encouraging the kind of cooperation between parties that occurred in his town for the rest of Hungarian politicians. This appears to have begun taking place in some districts already. Just six days before the national elections, a Momentum candidate, András Fekete-Gyór, withdrew his candidacy and announced his support of the strongest opposition candidate. In a website he launched following his ascension, Márki-Zay’s Regime Change 2018 outlines a twelve-point program intended as a guide on how to rebuild a stronger Hungary when the current regime is eclipsed. This website encourages collaborative support for the opposition candidates with the highest chance of winning according to the polls, and orients voters to who has the highest chance of beating Fidesz. Voters still have the power if there is a will, and if the opposition politicians have the competency to give voters a clear alternative choice. Batancs probably shouldn’t hold her breath for the day the left and the right stop arguing over who is right and wrong, but leading up to these elections, she could witness cooperation between ideologically divergent parties, of which her hometown set a precedent.